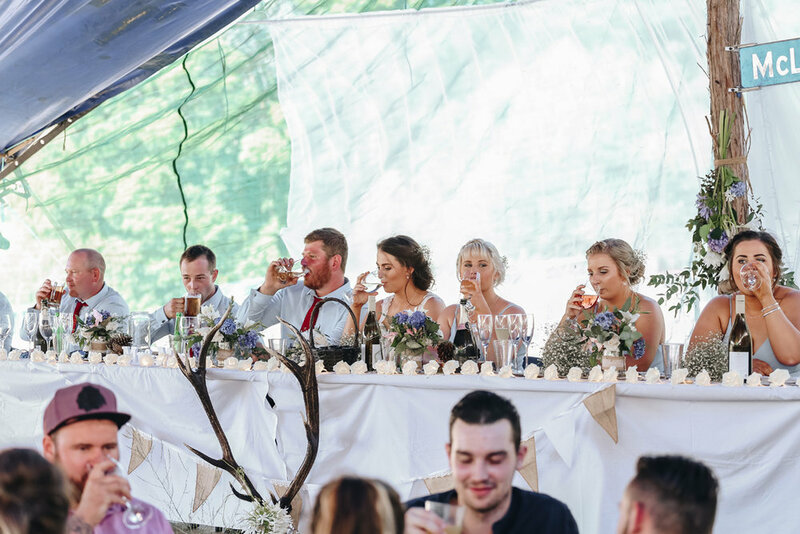 If you want to see an inspiring rustic wedding with a soft and dreamy colour palette, that proves you don't need a fancy venue to create an elegant and stylish event, then look no further! 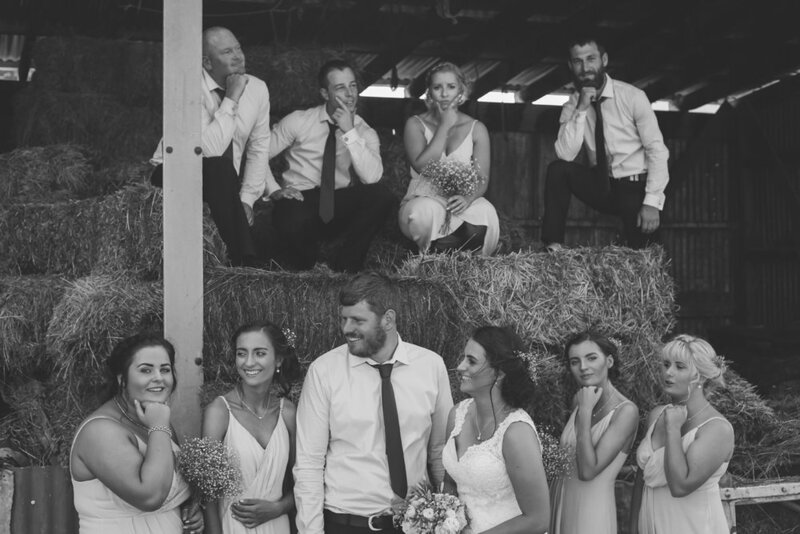 Hannah and Thomas chose the McClean family farm in Okaramio, Marlborough for their country styled wedding venue. 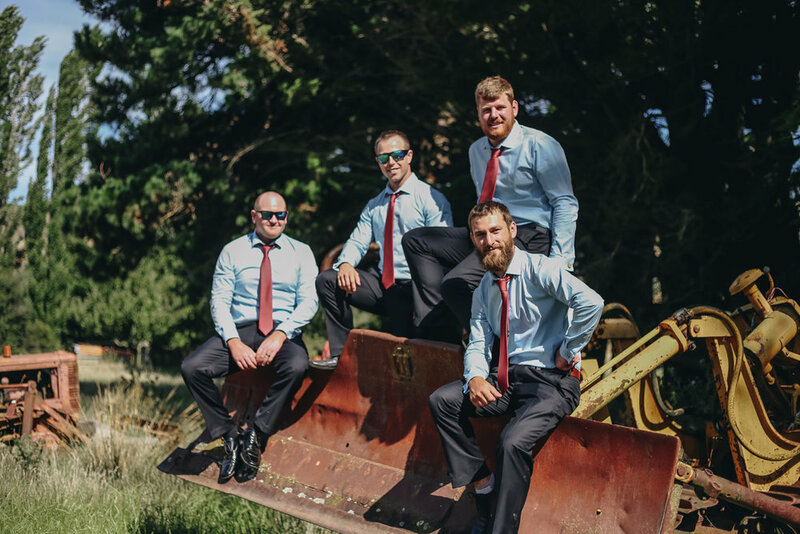 As far as DIY weddings go, these guys take the cake. 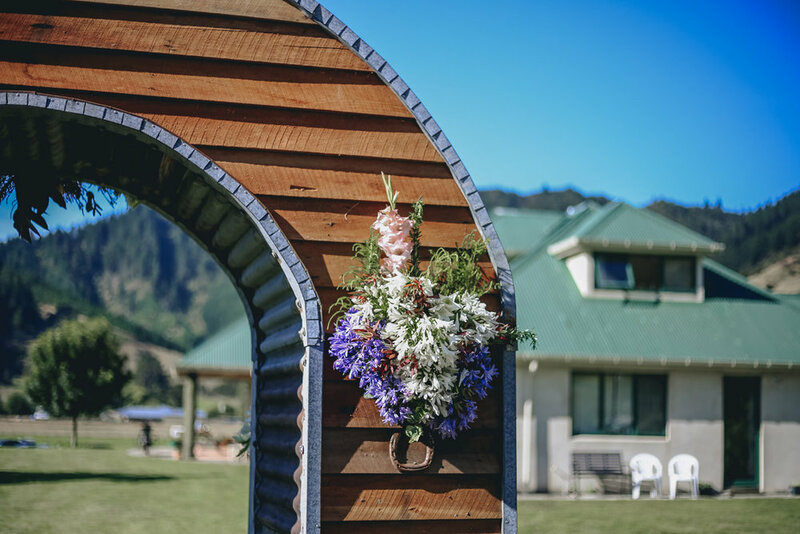 Thomas skillfully built the beautiful wooden arch for his bride as well as the bar and bar stools! 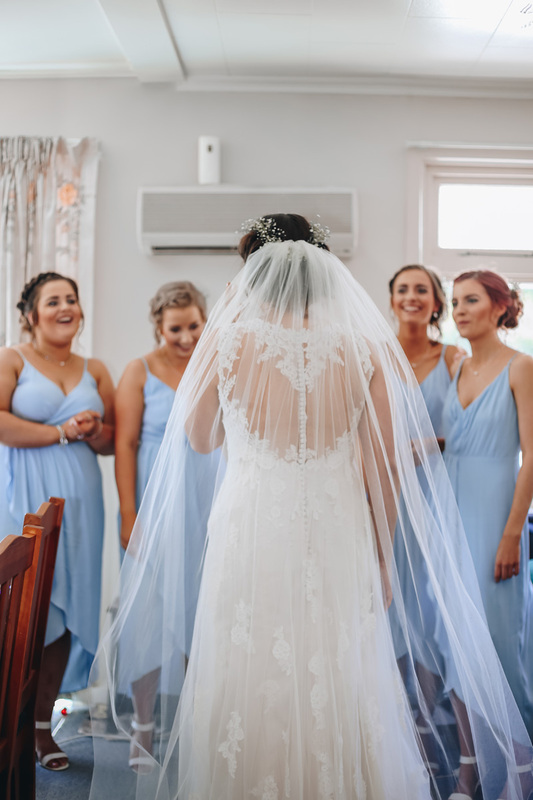 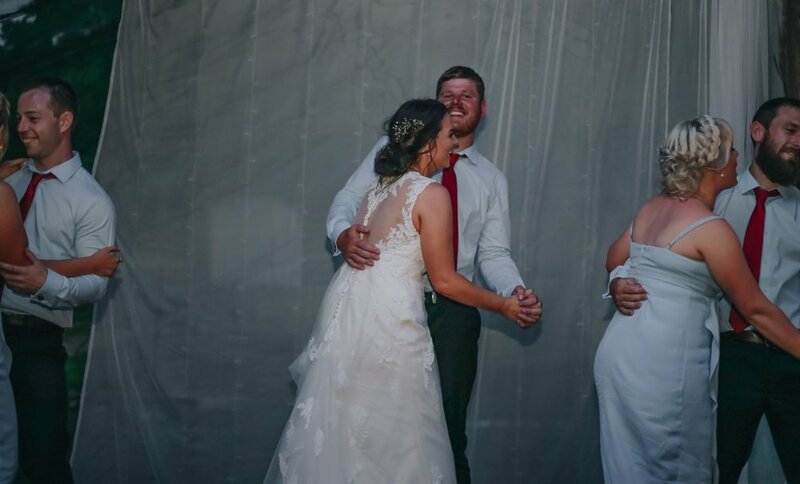 But some things are better left to the experts... so Hannah came to Astra and chose the stunning 'Piper' gown by Rebecca Ingram and a raw edge veil. 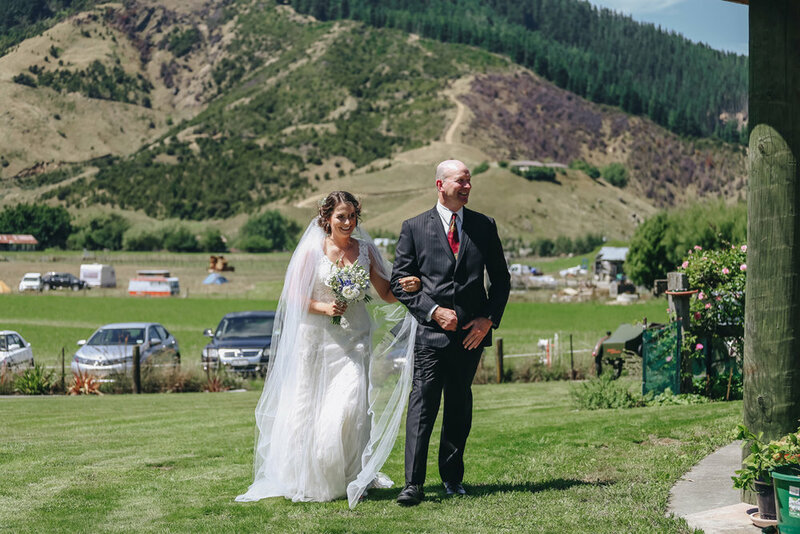 Both floated beautifully in the fields of this sunny Marlborough setting. 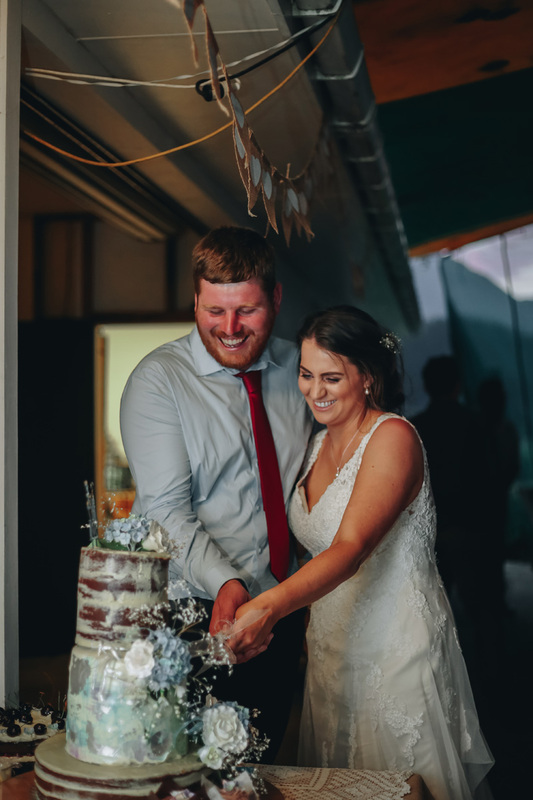 "I loved how my gown went from detailed lace at the top to a softer fabric at the bottom... and the back of the dress was beautiful as well..."
"My favorite part of the day was marrying my best friend and at the reception we didn't want anything fancy for the meal, so we decided on build your own burger bar, which went down a treat!" 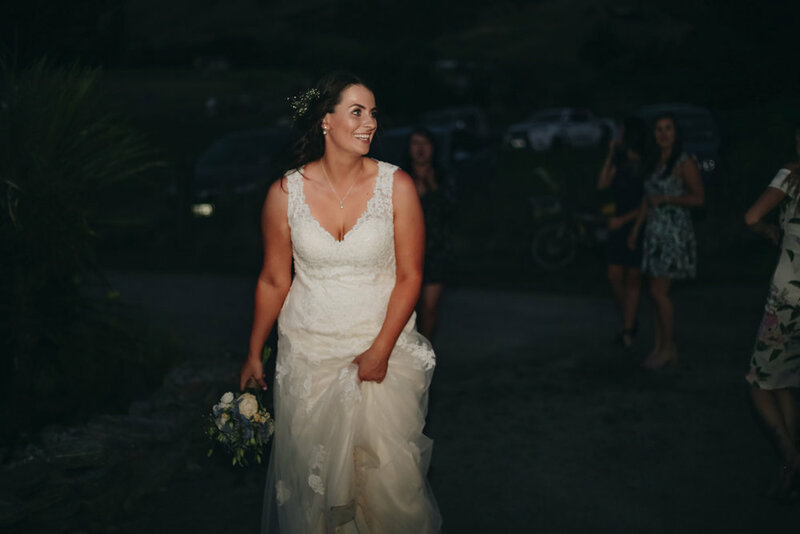 If you fell in love with this beautiful Rebecca Ingram gown; Piper, click the 'Try This Gown On' button below to make an appointment to try it on at your nearest Astra Bridal location.